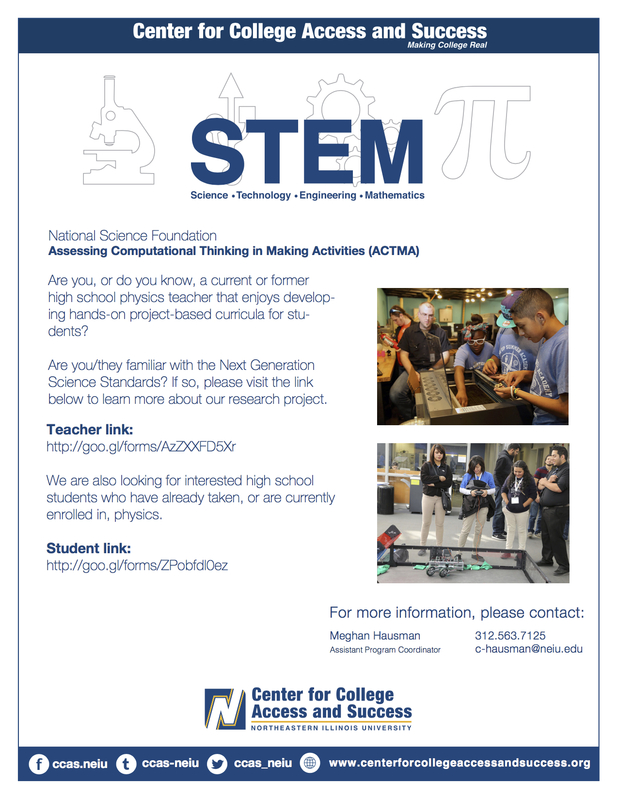 The CCAS is looking for interested high school students who have already taken, or are currently enrolled in, physics and / or making classes. See attached flyer for details and apply at http://goo.gl/forms/ZPobfdl0ez. They are almost done with interviews, so act fast if interested!